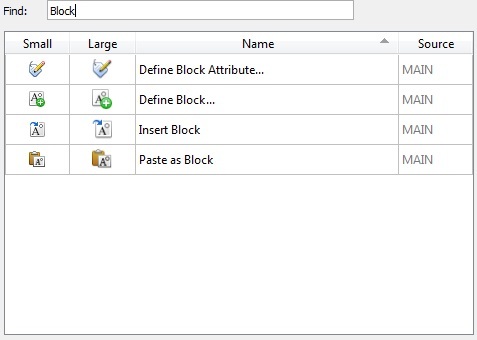 Go to Tools Menu> ‘Customize Interface…’ & select Commands tab. When you select Commands tab then you will see all command in DraftSight listed in tabular format in middle. By default Source of UI profile is Main. You can Search any Command from list from Find Section. Type command name and you will see command in Table below. You can also add or remove commands from ‘+’ Add Command and ‘x’ Remove command tabs respectively . Below Remove command tab Show or Hide Icon Explorer tab see below section for more info. When you add new Command you can name it by Double click inside Name Column cell of new Command. 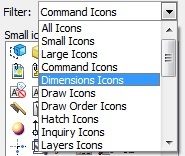 If you double click and open drop down list in Small or Large icon cells then you will see list of other icons . You can change current icon with other icon also. RMB Options: Right click inside any Table cell and you will see some RMB options. You can shown and Hide Icon Explorer , Add new Command from here also , Duplicate Command , Rename it or Delete it. Icon Explorer: There are Small and Large icons . You can Filter these icons based on below Categories. You can also Browse fro image files and Add you own images to Command Icons. See i have placed two images to Line command below. When you set new Command remember to add ID and String value to it also. This will be helpful in Creating Menu files (.mnu). ^C means Cancel any Running command . Some command need to Cancel twice to ^C^C double functions are added. 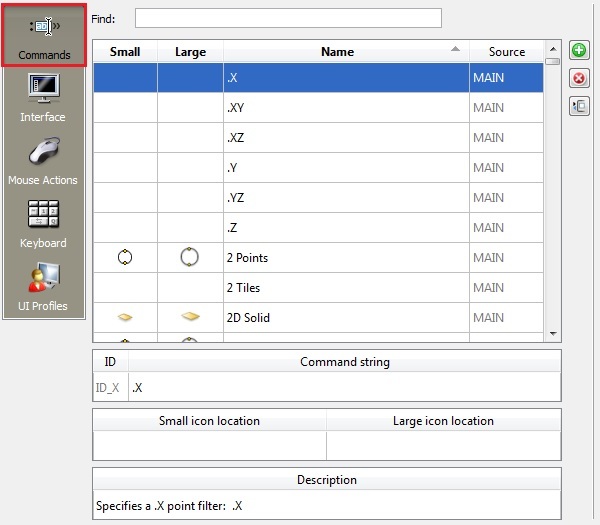 If you select any Command then Small and Large icon location is shown as below along with Description of what that command does.